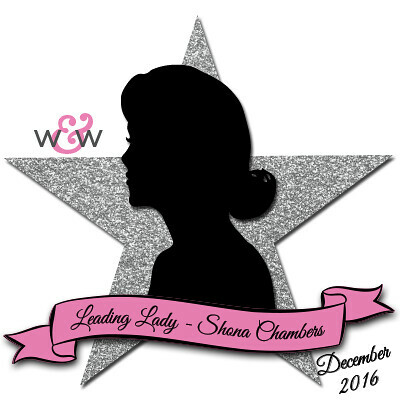 Our December Leading Lady, Shona Chambers, is back for her sensational second performance! If you missed her smashing debut you must see it...CLICK HERE. Shona takes on the holidays focusing upon one of my favorites with awesome results! Hi everyone!! Thanks for coming back to visit with me again on the Winnie and Walter blog!! I hope you enjoyed last Saturdays 'Clean and Simple' Christmas card theme and it gave you some ideas. For today's post I decided to concentrate on something I don't usually think about much - Backgrounds!! As you can see from last weeks post I'm very much addicted to my white card bases and tend not to cover them up too much. However, every now and then I like to go crazy with a few stamps and dies and see what I come up with!! For this first card I used my MISTI and one of the new release stamp sets ''Scenery: Holiday Trimmings'. Trying to line things up is not one of my best skills, so the MISTI was a great help to make sure the tree's were straight and spaced correctly. I simply stamped them in row's across my card front, using two different shades of red dye ink. I didn't want to cover them up, so I die-cut the sentiment from 'The Big, the Bold and Greetings Cutaways' from some wood veneer card stock, glued it to another few layers and then adhered to the card. The rest of the sentiment (from 'The Big, the Bold and Greetings') was heat embossed on black card stock, popped up on foam tape and some gold sequins added from Pretty Pink Posh. For my second card I decided that I could use some die-cuts to create a background. I chose some paint chips in slightly different blue shades (to create an ombre effect) and die-cut the 'In a Word: Noel Cutaway' from them all. I then simply adhered them in lines across the card front, cutting off the overhang. I then covered them in lashings of Wink of Stella for a bit of sparkle!! For my last card I combined both stamping and die-cutting. I cut a panel of white card stock the same size as the card front. 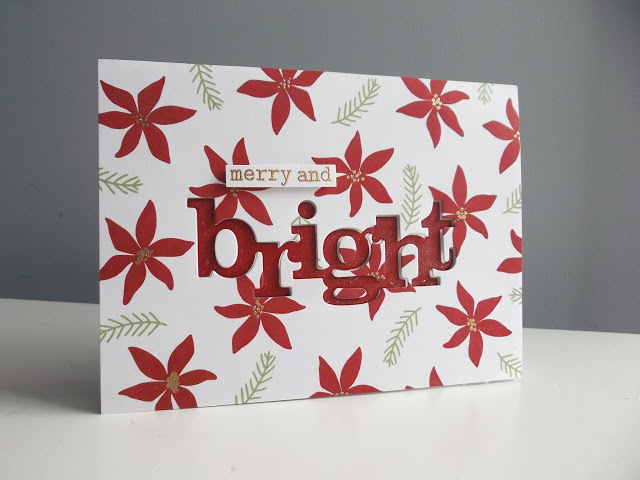 The poinsettia and sprig (both from 'In Bloom: Frenchy's Festive Florals with Angelica Suarez) were stamped randomly across it. For a bit of shine I added dots to the middle of each flower with an embossing pen and heat embossed with gold. I die-cut the 'In a Word: Bright Cutaway' from the stamped panel and also from a red paint chip. The panel was popped up over the card front with foam tape and the red die-cut 'bright' was glued inset into it. I heat embossed the rest of the sentiment (from 'The Big, the Bold and the Merry') in gold and put on foam tape as well. I then put Wink of Stella on the red 'bright' for a bit of shine too. I really hope you liked these cards and they have maybe given you a few ideas for your Christmas cards or any other cards you need to create. Don't forget to pop over to my blog to leave me a comment on this post and all my other Leading Lady posts to have a chance to win a Winnie and Walter $30 gift card. Have fun crafting and see you all next Saturday!! Awesome cards!!! The colors are really beautiful!!! Winnie and Walter - you need Shona full time!!! She's fabulous! Don't let her go!!! Love your cards - gonna go case them right now!!! Pretty set of cards! Love that first one with the trees background! I am enjoying Shona's Leading Lady spot! Three lovely cards! My favourite is the first one but I love the way you use products in interesting ways - and I always smile about your paint chips. Whatever will you do if you run out?! Beautiful!!! Love the "Bright" card!! Fabulous, Shona!!! You're inspired use of my newest favorite cutaway Noel has my brain working!!! Shona just makes the most awesome cards! Fabulous background designs, Shona! I especially love the first one. Those trees look awesome! Three really gorgeous cards, Shona! My fave is the first one with those darling trees, but I do love them all! Thanks so much for inspiring us with these beauties! I like your unique card designs. All of these cards are really pretty for Christmas! I have the stamp set you used to create the first card, so it's my favorite! I like that you used the 2 colors of red to add interest to the design! Love the graphic, clean designs! Love these festive beauties! Very creative!! These are gorgeous! I love what you've done with these big cutaway words! Awesome! 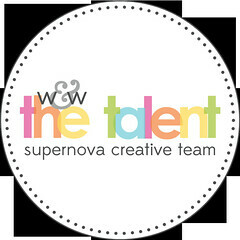 Fabulous designs, Shona! I especially love the one with the whimsical trees!!! So festive and fun! Amazing use of the W&W dies! Such fun cards! 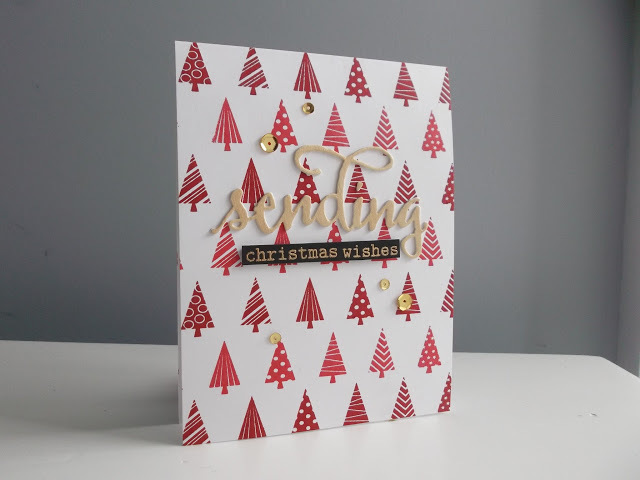 I just love red and white together and that negative die cut Merry and Bright design is gorgeous! Great use of a paint chip!!! Brilliant techniques for fabulous backgrounds which really carry the card!! I am background technique person, but rarely do I just stamp a background. Yours is so pretty! Also love the idea of simply repeating the same die cut all over for your background, image, and sentiment all in one. Wonderful effect! Your third card is so gorgeous combining several techniques for a fabulous holiday card!! WOW! Beautiful work! !